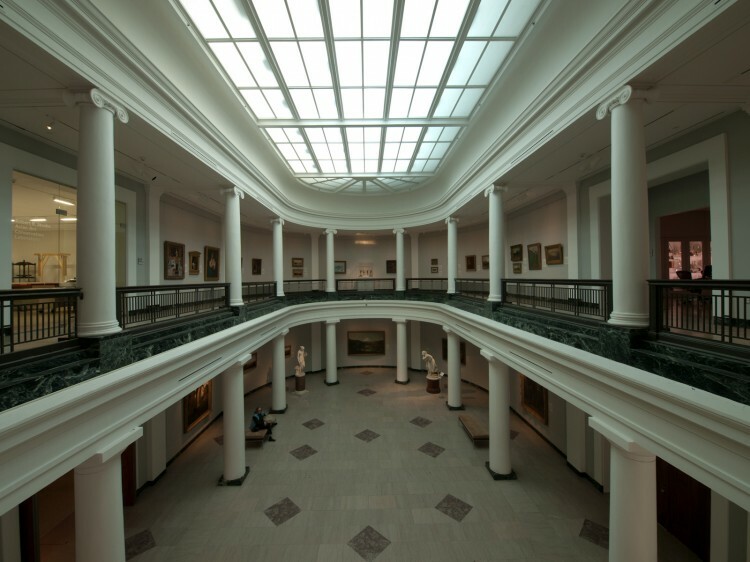 This shot was taken in the old wing of the University of Michigan Museum of Art (UMMA). 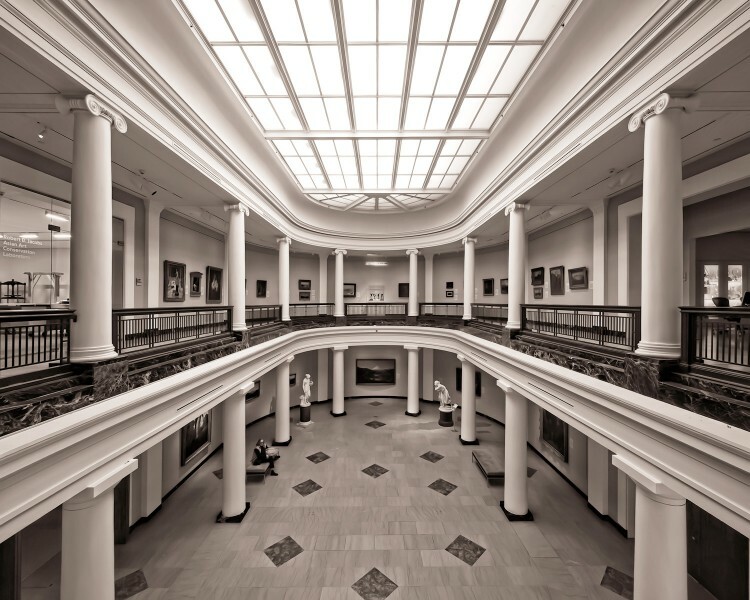 I’ve always liked this gallery and I’ve been here a few times to take pictures of it. Each time is a little different, different people, different light, etc. I had a blog post back in 2010 with an image similar to the one you see here, but with a completely different method and style of processing. For that image I went with a grittier, almost HDR look. I liked the way the processing brought out the detail in the floor, but I’ve always felt that this shot was meant for black & white. I also wasn’t too thrilled with the number of people in the shot, so I went back at a later date and took the shot you see above. In this shot, there is only the one woman on the bench, which I like better. I also chose to convert the image to black & white. Initially I created an image to which I added a bit of film grain, however I ultimately decided that I wanted a smoother look. I edited the shot to hide the grain layer and used Lightroom noise reduction to help smooth the shot out even more. Fantastic symmetry and framing in this architectural image. And – I do love the first image..and the monochromatic procesing..altho the second one – does a better job of highlighting the light in the space. Just my thoughts..for whatever they’re worth! The black and white conversion was definitely the right thing to do in my opinion. The final image is gorgeous – great tonal range and lovely sweeping lines. Really good job on the processing man. Nice shot. I really like the smooth tones, it matches the architecture well.